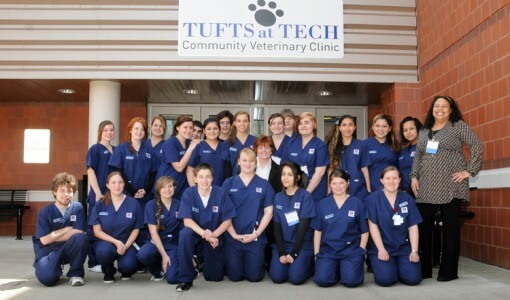 The Cummings School of Veterinary Medicine at Tufts University congratulates Worcester Technical High School (WTHS) for being recognized as one of the 2013 National Blue Ribbon Schools, an award that honors public and private elementary, middle, and high schools where students perform at very high levels or where significant improvements are being made in students’ levels of achievement. 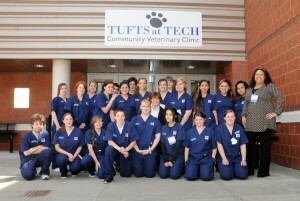 The Cummings School and WTHS partnered to open the Tufts at Tech Community Veterinary Clinic in 2012, bringing high-quality affordable care to underserved communities in the Worcester. 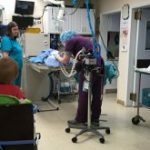 An example of innovative education, professional students at the veterinary school and high school students work and learn together as they provide hands-on care. U.S. Secretary of Education Arne Duncan announced the 286 award recipients via the department’s USTREAM channel. The Department will honor 236 public and 50 private schools at a recognition ceremony on Nov. 18-19 in Washington, D.C. WTHS is one of four Massachusetts schools to be named a National Blue Ribbon School this year. The program recognizes schools in one of two performance categories. The first category is “Exemplary High Performing” in which schools are recognized among their state’s highest performing schools, as measured by state assessments or nationally-normed tests. The second category is “Exemplary Improving” in which schools that have at least 40 percent of their students from disadvantaged backgrounds demonstrate the most progress in improving student achievement levels as measured by state assessments or nationally-normed tests. 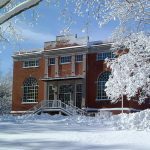 “Worcester Technical High School has undergone a powerful transformation in the past seven years. The total commitment of the faculty, staff, students, parents and community have resulted in a school with consistent and sustained high levels of achievement resulting in this national award,” said Superintendent Melinda J. Boone. 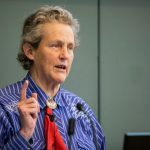 “This award recognizes all the hard work of our students, faculty and the successful collaboration with community, business and higher education to make this dream a reality,” said WTHS Principal Sheila Harrity. A complete list of the 2013 National Blue Ribbon Schools is available at http://www.ed.gov/nationalblueribbonschools.